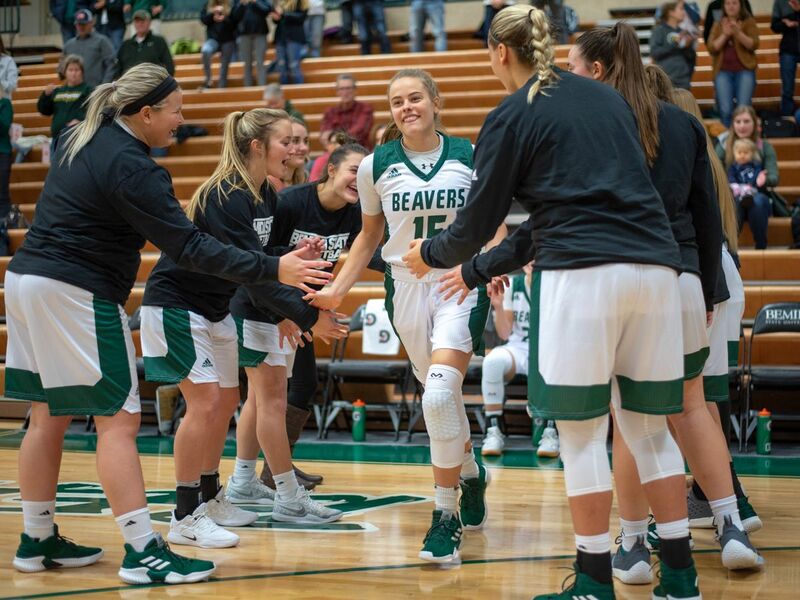 The Bemidji State University women’s basketball program hosts Upper Iowa University and Winona State University Jan. 18-19 in Bemidji, Minn., during the programs’ lone meetings of the 2018-19 season. The Beavers host the Peacocks at 5:30 p.m. Friday followed by the Warriors at 3:30 p.m. at BSU Gymnasium. Bemidji State leads the all-time series versus Upper Iowa, 15-6. Both teams have alternated wins since Feb. 24, 2012, when BSU finished a five-game winning streak against UIU. The Beavers took the most recent matchup Dec. 30, 2017, 60-52, in Bemidji, Minn.
Sophomore guard Brooklyn Bachmann led BSU with 24 points on 7-of-12 shooting from the field, 4-of-6 from long range and 6-of-8 from the free throw line. She added six rebounds and one steal in 33 minutes of action. The series began in 2004, a 73-56 win by Bemidji State. The Beavers began the series with seven wins in the first eight games and 12 in the first 15. Bemidji State leads the all-time series versus Winona State, 43-36. WSU has won eight straight games in the series and 11 of the last 12. The last time BSU took consecutive wins in the series came during a three-game winning streak, Feb. 26, 2005 through Feb. 25, 2006. Winona State won last season’s lone meeting, 47-33, in Bemidji. No Beaver student-athlete reached double-figure scoring while the team was cold shooting from beyond the arc, going 1-for-23. Bachmann and junior guard Erica Gartner are the only two returning Beavers who recorded points in the game. The series began in 1973, a 41-37 win by Bemidji State.